Hello people of the Internet!!! On today’s ‘Monday Memos’ we are going to discuss a young artist who is definitely on the rise. This talented young girl has already stolen our hearts with her infectious Pop/Rap songs, that have shattered records by becoming the youngest Covergirl spokesperson. Although 2014 was an AWESOME year for her, I predict that 2015 will only be bigger for her. Now if you haven’t already figured it out, I’m talking about singer/songwriter/rapper/dancer/actress/and all around cool girl Becky G (wow is there anything she can’t do!?! And she’s only 17…say it with me everyone…WOW!!!). Ok we are now moving on to the biography part of this post, but I’ll give you y’all the shorten version, because we have Wikipedia for the rest. Ok! Becky G was born on March 2nd, 1997 in California. Becky has stated in interviews that she didn’t have the easiest time growing up, due to financial problems that her family went through when she was 9. Because of the family’s financial struggles, they were forced to move into Becky’s grandparent’s converted garage in Inglewood, California. Becky has said that even at such a young age, she felt that she should try to help her parents earn money to support the family. So, she made a deal with her parents and asked them to give her 6 months to try to break into the entertainment industry, at the end of the 6 months, she would forget about it if she didn’t get any work. Luckily, Becky’s natural talent allowed her to make a lasting impression on casting directors, and began doing voice-over and commercial work. She also started recording herself using Garageband (a computer program that let’s you record audio) to try showcase her singing abilities. Becky continued to gain exposure by performing in two girl bands: G.L.A.M (which was produced By Multi Platinum Producer Andrew Lane, who has worked with artists such as: the Backstreet Boys, Lisa ‘Left Eye’. Lopes, among others, and on soundtracks for: High School Musical, Hannah Montana, and many more), and B.C.G. In 2011, Becky began uploading videos of remixed versions of popular pop and hip-hop songs on videos onto YouTube (she would write her own rap lyrics, and add them to the songs in order to show how advanced her sense of artistry was). She later released the songs on a mix tape called ‘@itsbeckygomez‘. Although all of her songs were loved by fans, it was her cover of Kanye West and Jay-Z’s song ‘Otis’, that caught the attention of industry legend Dr. Luke. He was so impressed, that he signed Becky to his label Kemosabe Records (which is apart of Sony Music Entertainment). Becky broke into the mainstream music scene on June 12, 2012, when she was featured on pop singer/fellow YouTube sensation Cody Simpson’s single ‘ Wish U Were Here’. Becky’s career continued to heat up, with the release of her songs: ‘Turn the Music Up’, ‘Oath’ (which was technically released by Cher Lloyd, but Becky is featured and co-wrote the song), and ‘Problem’ featuring Will.i.am. Becky returned to what initially got her noticed by remixing ‘Die Young'( which was originally made popular by Ke$ha) the track also features Juicy J and Wiz Khalifa, and ‘Jenny from the Block’ (which was made popular by Jennifer Lopez, and renamed ‘Becky from the Block’). In 2013, Gomez released her EP ‘Play It Again‘, which features 4 new tracks. On April 23, 2014, she released her new song ‘Shower’, which is the first single off of her debut album. ‘Shower’ became one of Becky G’s biggest hits to date, and she performed it on numerous shows such as the 2014 Teen Choice Awards. Due to all of her success, Becky was asked to open on Katy Perry, Jason Derulo, and Demi Lovato’s upcoming tours. With the ability to sing, rap, dance, and completely take control of a crowd in any venue, it is easy to predict that Becky will have a VERY long career. At a young age, Becky has been able to figure out how to build a fiercely loyal fan base, and is already a well-loved artist in both the English and Spanish music markets. Becky has also become a fashion and beauty icon for her fans, proving that she truly is a well-rounded entertainer. I am so excited to see where her career takes her, and I know that she will not only build a legacy as a phenomenal entertainer, but will also blaze a trail for young artists who follow her. Give it up for your queen Beasters!!! All photos and information used in this blog belong to Becky G, Rebecca Marie Gomez, YouTube, Inglewood, California, G.L.A.M, Andrew Lane, Backstreet Boys, Lisa ‘Left Eye’ Lopes, High School Musical, Disney Channel, Hannah Montana, BCG, Kane West, Jay-Z, Sony Music Entertainment, Kemosabe Records, Cody Simpson, Cheri Lloyd, Will.i.am, Ke$ha, Juicy J, Wiz Khalifa, Jennifer Lopez, Teen Choice Awards, Katy Perry, Jason Derulo, Demi Lovato, and all other original owners. I do not own anything in this blog. If any people, corporations, businesses, companies, etc, were not previously given credit for their work, they are given credit now and their previous absence was unintentional. All opinions expressed in this blog are my own. I wrote this blog for entertainment purposes and no copyright infringement is intended. celindareyesblog October 21, 2014 No Comments on Monday Memos: Becky G…the rising pop star whose songs you’re going to be singing in the shower throughout 2015. Category: Monday Memos. Tagged: Andrew Lane, backstreet boys, BCG, Becky G, california, Cheri Lloyd, cody simpson, demi lovato, disney channel, G.L.A.M, Hannah Montana, High School Musical, Inglewood, jason derulo, jay-z, jennifer lopez, Juicy J, Kane West, katy perry, ke$ha, Kemosabe Records, Lisa 'Left Eye' Lopes, music, pop, r&b, rap, Rebecca Marie Gomez, Sony Music Entertainment, Teen Choice Awards, Will.i.am, wiz khalifa, youtube. Monday Memos: 2014 VMA Recap!!! Home | Monday Memos | Monday Memos: 2014 VMA Recap!!! Hello people of the internet!!! On today’s ‘Monday Memos’ we are going to discuss all of the memorable moments from last night’s 2014 VMAs. The show was jam packed with breathtaking performances, awards presented to amazing acts, and other memorable and tear-jerking moments. So if y’all are ready, let’s not waste any more time and dive right in! The VMA pre-show was full of so much fun, it felt like a show within itself. The show was co-hosted by ‘Pretty Little Liars’ star/Country music singer/songwriter Lucy Hale, and MTV correspondents Sway & Christina Garibaldi. The trio interviewed a lot of amazing stars during the pre-show, and even got to speak to ‘Teen Wolf’ star Dylan O’Brien, regarding his highly anticipated film ‘The Maze Runner’. Pop singer/songwriter/rapper Becky G and beauty/fashion/lifestyle YouTube guru Ingrid Nilsen (aka Missglamorazzi, you can find a blog post about her here: YouTube Wednesday: Missglamorazzi…the beauty/fashion/health guru who likes her glamour with a side of fun! | celindareyesblog) served as the Covergirl ‘InstaGLAM’ correspondents for the pre-show, and helped us keep track of some of the fun fashions of the night. A moment during the pre-show that definitely had our heads spinning with nostalgia, was when Katy Perry and rapper Riff Raff wore all denim outfits inspired by Britney Spears’ and Justin Timberlake’s famous 2001 American Music Awards outfits (even though Britney and Justin are no longer one of Pop music’s most beloved couples). Another moment that I want to mention right now (even though it happened during the actual show) was Miley Cyrus’ ‘Video of the Year’ win, where she allowed a homeless young man named Jesse accept the award on behalf of all of the homeless young people in the LA area. Jesse also told the audience where they could go and learn more about the issue of homeless and runaway youths. There was also a short tribute to the late actor Robin Williams during the actual VMA show, which displayed a picture of the actor while a beautiful song played in the background. Last but surely not least, let’s talk about the pre-show performances! The girl group/former ‘X-Factor’ contestants went on to win the ‘Artist to Watch’ award later in the show, but before that, they gave a crowd pleasing rendition of their latest hit single ‘BO$$’. The girls wore different combinations of dressy skirts, pants, and tops, and were aided in their performance by dancers who wore all white outfits. Some of their dancers also carried red trumpets, which added an overall cool vibe to the performance. With the deafening sound of Fifth Harmony’s fans (aka Harmonizers), it was no surprise that the group took home their first VMA award last night. The singer/songwriter behind the infectious song ‘Boom Clap’ (which was featured on both the film and the trailer for one of the summer’s most anticipated films ‘The Fault in Our Stars’), took the stage after Fifth Harmony, and definitely had the aid of the energetic crowd on her side. Charli wore a light colored dress with a feathered coat, and in the middle of her performance left the first stage, walked on a runway that went through the crowd, and walked onto a smaller second stage. As Charli walked, her steps coordinated with the beating of her drummers, which gave off a very cool effect that just hyped up the crowd even more. At the end of her performance, Charli presented a random fan with a ticket to the VMAs, and the crowd went even wilder. With the success of their 2014 summer smash ‘She Looks So Perfect’, and follow up hits such as ‘Don’t Stop’ and ‘Amnesia’, it is obvious that this band was definitely a contender for both of the awards that they were nominated for last night. Although they didn’t win the ‘Artist to Watch’ award, the fact that the band did win ‘Best Lyric’ video, proved just how dedicated 5 Seconds of Summer’s fans are. Also, the ‘Don’t Stop’ video was definitely very interesting and intricate, (I mean the entire video was a giant comic book, how cool is that!?!). Ever since this song was released as Katy Perry’s 3rd single off of her latest album ‘Prism’, the song has become an instant hit for Katy. The song has peaked within the top 10 in A LOT of countries, and has gone double, triple, and even sextuple (which means 6 times) platinum. The video also currently has 545,027,017 views, and it’s only been up for 6 months, so that’s REALLY impressive. Ok, let’s just take a moment to discuss ‘Sing’. After Ed stole our hearts with his emotional tracks ‘A Team’ and ‘Lego House’ we taught we knew what Ed was about, but then he surprised us with this song off of his latest album ‘X’. ‘Sing’ is a really fun, upbeat pop/jazzy/hip-hop song that definitely showed a new side to the singer/songwriter. With Pharrell Williams (who has had an enviable career that has spanned since the early 90s), serving as a producer and backup vocalist on this song, it was a guaranteed smash from the start. Now as if the song alone wasn’t enough, Ed added the extra touch of him in puppet form…seriously who can dislike a puppet!?! So needless to say, Ed certainly had a great shot at taking home this particular award. Now it was enviable that Ariana wasn’t going to walk away last night empty handed. She has arguably become the fastest rising young star in the music industry this year, and it seems that she is only on her way up. With hits such as: ‘The Way’ (which was actually released in 2013), ‘Break Free’, her newest soon to be hit single ‘Bang Bang’, and of course ‘Problem’ (which arguably is one of the biggest hits of the summer of 2014), it is easy to see that Ariana was going to be a tough act to beat. The video is also very cool, and uses a meticulously put together 70’s vibe that gives it an interesting flair. I have to say that this was definitely a standout video this year, so it definitely deserved this award. With big names such as: Eminem, Wiz Khalifa, and others, Drake was definitely in for a fight for this award. However, there is no denying that Drake has become a HUGE name in Hip-Hop over the past few years, and the success of ‘Hold On’ has definitely aided him in this. The song has also gone Gold and Platinum in numerous countries (double Platinum in the U.S.). Honestly if you wanted a definition of “cool” then this would be the perfect example, because this video just screams cool. The simplicity of the video is what I really like about it, and this definitely makes this video unique. It still amazes me just how much of a whirlwind career Lorde has already had. At just 17 this young star has a resume that many seasoned musicians would envy. Her debut single ‘Royals’ definitely made a powerful and lasting impact for the singer/songwriter, and has already been certified platinum (many, many times over) in numerous countries. I found that the music video for ‘Royals’ was exceptional, because the concept is very simple, which perfectly matches the vibe and lyrical content of the song. I think that the fact that the video is not overly flashy only adds to the song’s power. Ever since music mogul Simon Cowell put this INCREDIBLE girl group together Fifth Harmony has acculturated a fiercely loyal fan base. Although they did not win their season of the ‘X Factor’, the girl group was signed to Syco Records, and has had great success with all of their projects. In fact, their song ‘Miss Movin On’ has been charted in numerous countries, and has made the group arguably one of the most successful acts to come off of the ‘X Factor’ franchise. I personally love their video for the song, because it’s fun, and full of sassy attitude, which perfectly matches the tone of the song. Needless to say, this song was a hit for Miley, but the video is what really seemed to capture people’s attention. Before dropping her latest album ‘Bangerz’, Miley was best known for her hit Disney Channel show ‘Hannah Montana’. Miley’s lead single ‘We Can’t Stop’ quickly showed that she was headed in a new direction with her music and her sophomore hit ‘Wrecking Ball’ left no doubt that Miley had left Hannah behind for good. The greatest evidence of this change was definitely ’Wrecking Ball’ video, which had Miley showing her vulnerable side by swinging on a wrecking ball naked, crying in some frames of the videos, and destroying her setting in other frames. The video certainly left an intense and lasting impact that definitely warrants the title of ‘Video of the Year’. I mean what can really be said about Beyoncé’s career? With a resume that spans nearly 2 decades, Beyoncé has certainly made a lasting impact on Pop music. She first won the hearts of fans as a part of the highly successful girl group ‘Destiny’s Child’(which have left the legacy of being one of the world best selling girl groups of all time), and then went on to form a very fruitful solo career. In her entire career, Beyoncé has managed to win 479 awards, which include: 17 Grammys, 18 Billboard Music Awards, 18 MTV VMA Awards, and numerous others. Needless to say, it’s a good time to be Beyoncé right now! The powerhouse vocalist that has been dominating 2014 thus far definitely showed everyone last night that she is a powerful, long lasting presence, with her unforgettable performance of her latest single ‘Break Free’ (which features EDM superstar DJ Zedd). Ariana’s performance had a futuristic/outer space setting, where she came out of a spaceship, in a frilly pink dress and boots, and dances with her dancers (who also had space themed outfits. Hip-Hop rapper/singer/songwriter Nicki Minaj was up next, with a crowd pleasing performance of her latest hit ‘Anaconda’. Nicki wore a green one piece suit, and had a lot of cool acrobatic dancers performing tricks above the stage. Nicki and her dancers then kept up the VMA tradition that was set by Miley Cyrus last year, and participated in a lot of twerking. This definitely got the audience very hyped up, and the energy continued to rise. Next up, singer/songwriter Jessie J came on stage and began singing one of Ariana’s newest tracks ‘Bang Bang’ (which features Jessie and Nicki). Ariana and Nicki finally remerged, and began performing their parts of the song. Even though Nicki had a slight wardrobe malfunction during the performance, she still handled it like a pro. The audience certainly loved the world premiere of the song, and it is obvious that this will likely be another song that all three artists will receive a lot of acclaim for. The next performance was given by Taylor Swift, who performed her newest (and first purely pop hit) ‘Shake It Off’. Taylor wore a cool sparkly two piece (a matching skirt and top), that resembled a very modern flapper look. She also had backup singers that wore black colored dresses of the same style, and male dancers in tuxedos. Taylor also had a funny moment in her performance, in which she “refused” to jump of a large sign that read 1989 (the name of her next album), and climbed to the bottom of the sign in order to finish the number. Sam Smith was the next performer, and he definitely proved just how hard he can pull at our heartstrings (which is one of the many reasons why we love him). He wore all black, and had a very simple setting, with just one pianist, and a single spotlight on both him and the pianist. This performance definitely played up the song’s deep emotional content, and instantly captivated the audience from beginning to end. Usher performed his newest song ‘She Came To Give It To You’ (which featured Nicki Minaj) next. The performance started with Usher dressed in white dancing for a few seconds. The stage then lit up, and Usher’s entire band materialized (also dressed in white). Usher continued his performance with a golden mic and stand, which gave the whole performance a very cool vibe. During the performance Nicki Minaj came out onto the stage (also dressed in white), came out and danced with Usher and later twerked with one of his guitar players. The next performance of the night was ‘Best Lyric Video’ winners 5 Seconds of Summer. The band played their newest hit song ‘Amnesia’, and it was easy to see that the crowd absolutely adored them. The band wore very casual outfits (jeans and t-shirts), and definitely brought back an old 90s grunge vibe to their performance. Next up was multiple VMA nominee Iggy Azalea, who performed her latest hit track ‘Black Widow’ with singer/songwriter Rita Ora. Both entertainers were dressed in dresses that contained web like patterns, and the stage contained multiple ballerinas that were dressed in black and red tutus, with black mesh like fabric around their faces and bodies. The whole performance definitely had a haunted effect that made it very intriguing to watch. Next up was rock band Maroon 5 (which is fronted by lead singer/’The Voice’ coach Adam Levine. The band performed their newest single ‘Maps’, and proved that they still have super devoted fans that go crazy merely at the sight of the band. The stage contained a giant capitalized ‘M’ (which has become the band’s signature logo), and the band dressed very casual (Adam wore a Los Angeles Lakers jersey and black jeans). The band brought a lot of energy to their performance, and also played their hit song ‘One More Night’ after the next award was presented. The last performance of the night (and arguably the most anticipated), was Beyoncé’s performance before she accepted her ‘Michael Jackson Video Vanguard Award’. Beyoncé’s performance definitely felt more like a mini-concert, and had her fans going wild. She had multiple costumes, and had her dancers do everything from hip-hop dancing, pole dancing, twerking, and various other complex routines. There was also an excellent use of various types of lighting, which added to how meticulously thought out the performance was. Beyoncé also had several moments in which she was alone on stage singing, and in these moments proved just how impactful of an entertainer she is, and why her fans love her. It would honestly take A LOT of pages to explain every single aspect of the performance, so to sum it up, the performance was certainly a once in a lifetime VMA moment that viewers will definitely not forget. Perhaps the tenderest moment of the performance was the last number, in which Beyoncé sang as photos of her daughter Blue Ivy, and her husband Jay-Z played on the back screen. When the performance was done, Jay-Z and Blue Ivy presented Beyoncé with her award, and her fans got to see ‘Beyoncé the wife and mother’, instead of just ‘Beyoncé the entertainer’. It was a truly beautiful moment. As you can see, one of music’s biggest nights was filled with equally big moments. From Katy Perry’s throwback tribute to one of music’s most beloved couples (we miss you Britney and Justin), to Ariana, Jessie J, and Nicki Minaj’s jaw dropping opening performance, to Robin Williams emotional tribute, and Miley’s reminder that we all need to be grateful for the small things we are blessed to have, this night definitely had us on an emotional roller coaster. However, all social media sites definitely stopped when Beyoncé took the stage, and proved just why she is beloved by so many and has had such a long lasting and fruitful career. All I have to say is that I am soooo ready for the 2015 VMAs, if they are anything like the 2014 VMAs, then watch out! All photos and information used in this blog belong to all of the labels, managers, corporations, people, businesses, and any other person or sponsor involved in any way, shape, or form, with the following TV channels, artists, people, groups, etc. : MTV, Pretty Little liars, Lucy Hale, Sway, Christina Garibaldi, Dylan O’Brien, The maze Runner, Becky G, Ingrid Nilsen, Missglamorazzi, Covergirl, Katy Perry, Britney Spears, Justin Timberlake, American Music Awards, Riff Raff, Miley Cyrus, Jesse, Fifth Harmony, The X-Factor, Charli XCX, 5 Seconds of Summer, Juicy J, Ed Sheeran, Iggy Azalea, fansided.com, mtv.com, Zedd, Pharrell Williams, Drake, Lorde, Beyoncé, Majid Jordan, Eminem, Wiz Khalifa, Nicki Minaj, Jessie J, Taylor Swift, Sam Smith, Usher, Maroon 5, Adam Levine, Jay-Z, Blue Ivy Carter, all other original owners. Any corporations, businesses, people, etc., that have not been mentioned in this blog post are given full credit for their work, and their previous absence was purely accidental. I do not own anything in this blog. All opinions expressed in this blog are my own. I wrote this blog for entertainment purposes and no copyright infringement is intended. celindareyesblog August 27, 2014 No Comments on Monday Memos: 2014 VMA Recap!!!. Category: Monday Memos. Tagged: 5 seconds of summer, Adam Levine, american music awards, Becky G, beyonce, Blue Ivy Carter, britney spears, Charli XCX, Christina Garibaldi, covergirl, Drake, Dylan O’Brien, ed sheeran, eminem, fansided.com, Fifth Harmony, Iggy Azalea, ingrid nilsen, jay-z, Jesse, jessie j, Juicy J, justin timberlake, katy perry, lorde, Lucy Hale, Majid Jordan, maroon 5, miley cyrus, missglamorazzi, mtv, mtv.com, nicki minaj, pharrell williams, pretty little liars, Riff Raff, Sam Smith, Sway, taylor swift, The maze Runner, The X-Factor, usher, wiz khalifa, zedd. YouTube Wednesday: Lexxi Saal, the girl with the big voice, and an even bigger heart!!! Home | YouTube Wednesday | YouTube Wednesday: Lexxi Saal, the girl with the big voice, and an even bigger heart!!! Hello people of the internet!!! In Today’s ‘YouTube Wednesday’, I will introduce you to an extremely talented young performer who is not only an amazing singer/songwriter, actress, but is also passionate philanthropist. I’ve been listening to her various YouTube covers and original songs for some time now, and I have to say that I am constantly impressed by her vocal skills and growth as an artist. Although she already has performance experience that numerous artists would aspire for (and she’s only 16 years old), I believe that she will continue to succeed and will soon be a HUGE star. Please allow me to introduce you to (start the drumroll….) Lexxi Saal. 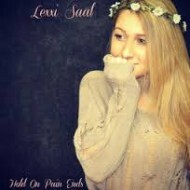 Lexxi Saal is a singer/songwriter from New York City. At the tender age of 6, Lexxi began acting, and thus ignited her love of entertaining others. She has since performed in numerous plays with the organization ‘Way Off Broadway’. At age 11 Lexxi began singing and discovered a true passion for music. Lexxi’s talent and determination has allowed her to perform on numerous iconic stages, such as: ‘The Apollo Theater’ (which has been the starting place for numerous music legends),’The Cutting Room’, and ‘The Bitter End’. At age 12, Lexxi wrote a song entitled ‘Thank You’, as a tribute for those who have, and continue to serve in the military. The song not only showcases Lexxi’s AMAZING vocals, but also contains inspiring, emotionally conviction, that charged lyrics, that will cause anyone listening to it, to reflect on how much those in the military sacrifice for us. The song is sung A cappella, and is delivered with such conviction and sincerity, that it seems impossible that it was written by a 12 year old girl. I believe that this song is truly a testament to Lexxi’s musicianship and artistry. I would HIGHLY suggest that you check out the video for the song here Tribute to our Troops “Thank You” Lexxi Saal however I will say, when listening to this song you better have your tissues ready. Lexxi has received numerous awards from the military because of this song, and she continues to perform it at military benefits and events. Lexxi has also opened for numerous artists, and has toured extensively. Some popular artists that Lexxi has opened for include: teen pop star Cody Simpson (who Lexxi opened for on November 19th, 2011 and again on November 10th, 2012, in her home state of New York), later in November of 2012, she opened for teen pop/YouTube star Austin Mahone, as in New York. Lexxi performed extensively in 2013, appearing as a part of the Pop Explosion Tour, OMG Music Fest, Digifest, VidCon, Teen Hoot show, and Fall Jam shows. Lexxi also opened for numerous phenomenal artists in 2013 such as: Connor Maynard (YouTube star/Parlophone Records (a subdivision of Warner Music Group) recording artist , Jillian Jenson ( The X Factor USA season 2 contestant), and Aaron Carter (yeah, I don’t think I need to explain who he is), and numerous other acts. Lexxi was also a featured performer at Sam Pottorff’s (1 of the 6 members of the EXTREMLY popular ‘our2ndlife’ channel on YouTube) 18th Birthday Party Concert. As you can see, 2013 was certainly a HUGE year for Lexxi, and I see 2014 as an even bigger year for the star. Starting in 2011, Lexxi began posting numerous cover videos of popular songs from artists such as Adele, Ed Sheeran, Bruno Mars, Rihanna, Katy Perry, Lorde, and numerous others. Lexxi has proven through these videos that she has the vocal control, soulfulness, and emotional range of numerous well established artists. She has also demonstrated that she has grown immensely as an artist over the years, by perfecting her crafting, and developing her own, unique sound. I have also noticed that Lexxi’s wide range of artists that she chooses to cover, speaks volumes about her various musical influences. It is essential for an artist to be influences by various artists, because it allows them to be well versed in numerous styles of music, thus aiding them in creating a fuller, more diverse sound. Lexxi also proves through her cover videos that she is fully capable of captivating a crowd, simply by using her voice. I definitely suggest that you check out her covers, you will not regret it! Lexxi has also released numerous original song, which include ‘Just Breath’ ( Lexxi Saal Original “Just Breathe” written by Lexxi Saal, an beautifully written song about longing for another person), ‘Gossip Girl’, ‘Winner’, ‘Soft Ribbon’, Hold on Pain Ends( Lexxi Saal Hold On Pain Ends (H.O.P.E) Lyric Video – YouTube an inspirational, moving song about finding hope in the aftermath of bullying and trauma), ‘Regret’ (a high tempo EDM inspired track that’s a very unexpected yet cool direction for her), and lastly her VERY popular 2012 track ‘Thank You JB’ ( an ode to the obstacles pop star Justin Bieber encountered on his rise to fame, and the way his story has inspired her and other fans. This song can be found on ITunes). Lexxi’s website states that she is preparing to release an EP of original music (judging from the music she has already released, I will definitely purchase her EP…I suggest you do too!!!). If you thought that Lexxi was just a phenomenal actress, singer/songwriter, then you were wrong! Although Lexxi is extremely busy with her blossoming career, she is also very dedicated to her organization ‘LexxiLoves’. Lexxi founded this organization when she was 8 years old (doesn’t she make you feel like a slacker!?! ), the organization’s mission is to donate gifts, raise awareness, and encourage others to aid in supporting and fundraising for children in foster care, and as Lexxi state on the LexxiCare’s website, “Make a Child Smile”. Lexxi has numerous projects that her organization participates in, such as their ‘Sweet Dreams Pillow Project’, which is a program that provides numerous foster children with a pillow case with an inspiration message on it. The ‘Sweet Dreams Pillow Project’ pillowcases are also available for purchase, and all purchases count as donations to LexxiLoves. The organization is also partnered with 1-800 Flower.com, which provide a bouquet of followers to a child in foster care every month. Personally I think that it is so amazing that this young, talented girl is so passionate about helping and inspiring others, so I definitely suggest that you check out and share the link to the Lexxi Loves website lexxiloves : About Lexxi Loves. As you can see, Lexxi Saal is a phenomenal actress, vocalist, songwriter, who certainly has a long future ahead of her as an entertainer. She has also been gifted with a large heart, and the determination and passion to see her vision through. I can certainly see Lexxi quickly becoming a household name, as well as a constant radio presence. Due to the fact that her vocal abilities exceed traditional genre limitations, and her songwriting skills are very advanced for her age, I can see Lexxi obtaining and maintaining a very diverse fanbase. I also believe that due to Lexxi’s hardworking and meticulous nature, that LexxiLoves will continue to gain ground, and soon have the ability and support to give hope to numerous children in the foster care system. I HIGHLY suggest that you become familiar with Lexxi Saal, because this is a name that you will hear extensively for years to come. * All photos and information used in this blog belong to, YouTube, Facebook, Twitter, Instagram, Lexxi Saal, LexxiLoves, highlineballroom.com, bellaboobabe.com, rasingceokids.com, officiallexxisaal.com, lexxiloves.org, Cody Simpson, Austin Mahone, Aaron Carter, our2ndlife, Way Off Broadway, The Apollo Theater, The Cutting Edge Room, The Bitter End, Parlophone Records, Warner Music Group, Jullian Jenson, Sam Pottoroff, Aaron Carter, The X Factor USA, Adele, Ed Sheeran, Bruno Mars, Rihanna, Katy Perry, Lorde, Digifest, Vidcon, Teen Hoot, OMG Music Fest, pop explosion tour, fall jam, itunes.apple.com, and all other original owners. I do not own anything in this blog. All opinions expressed in this blog are my own. I wrote this blog for entertainment purposes and no copyright infringement is intended. celindareyesblog June 23, 2014 No Comments on YouTube Wednesday: Lexxi Saal, the girl with the big voice, and an even bigger heart!!!. Category: YouTube Wednesday. Tagged: a cappella, aaron carter, adele, austin mahone, bruno mars, children, cody simpson, connor maynard, covers, digifest, ed sheeran, fall jam, foster care, hold on pain ends, hope, jillian jenson, just breath, katy perry, lexxi saal, lexxiloves, lorde, music, new york, omg music fest, original, pop explosion tour, regret, rihanna, sam pottorff, singer, songwriter, sweet dreams pillow, teen hoot show, thank you jb, the apollo theater, the bitter end, the cutting room, tribute to our troops, vidcon, warner music group, x factor, youtube. YouTube Wednesday: Tyler Layne, the future of music has arrived!!! Home | YouTube Wednesday | YouTube Wednesday: Tyler Layne, the future of music has arrived!!! Hello people of the internet!!! On today’s ‘YouTube Wednesday’ blog, I want to introduce you to a phenomenal up and coming pop singer named Tyler Layne. I recently discovered Tyler on Twitter (I really owe you on Twitter! ), and he really impressed me. At such a young age, Tyler already has the artistry, musicianship, and natural talent of a professional much older than him. I am really excited to share this artist’s music with you all, and I know that you will quickly become as obsessed with him as I am. I will warn you now, that once you hear Tyler Layne’s voice, you will definitely spend the majority of your time listening to his covers and original music. Ok so are you guys ready to be introduced to your latest musical addiction!?! Ladies and Gentlemen I give you Tyler Lane!!! Tyler Layne was born in Portsmouth, VA and discovered his love of entertaining at the ripe old age of 4, when he began singing in his church’s choir. By the age of 5, Tyler was a soloist in his choir, and his love of music continued to flourish. Only two years later at the age of 7, Tyler began to astonish crowds at local festivals and community events. At the age of 8, Tyler began professional training in piano, voice, and acting. This training made the already naturally gifted entertainer an even stronger performer, which became a huge asset for Tyler when he became the youngest member of the group RD7, after impressing judges related to Radio Disney. As a part of this group, Tyler was given the opportunity to tour with numerous famous musical acts such as: Raven Symone, The Cheetah Girls, The Jonas Brothers, Miley Cyrus, and American Idol winner Kelly Clarkson. After Tyler’s time as a part of RD7 was completed, Tyler founded other groups called Seven5Seven and Brooke and Tyler. The experience and public recognition that Tyler gained by participating in these groups led him to feel confident enough to continue his career as a solo artist. On January 18th, 2012 Tyler posted his first YouTube video, which was a cover of Rihanna’s hit track ‘We Found Love’. Tyler had no idea that posting this video would snowball into the opportunity to share his music on a much larger scale. Tyler has continued to post videos of himself singing hit songs from popular artists such as: Katy Perry, Adele, One Direction, Hunter Hayes, Imagine Dragons, Bruno Mars, etc. As if Tyler’s vocal ability was not impressive enough, he has also used his YouTube platform as an opportunity to demonstrate his phenomenal guitar, piano, and songwriting skills. Tyler released his first original song on YouTube, on January 28th, 2012 entitled ‘Dear Julia’. This track is a piano driven ballad, which was certainly an early indicator of Tyler’s advance skills as a writer, which is an increasingly more important commodity for artists to have. Tyler made a music video to accompany this single, and was able to show his acting talent through the video’s emotionally charged lyrical content. Tyler’s next original song was a fun, high energy track which featured pop-rock band Everlife. The video contained numerous photos of Tyler’s performances throughout the years, and really showed just how seasoned the young entertainer was at that point. Tyler has released 3 additional original songs, which are entitled ‘Over the World’, ‘Ms. Perfect’, and his latest single ‘Boom Boom’ (all of these songs are currently available on ITunes, so I would suggest you go pick them up…after you read this blog of course! And for all of you remix lovers out there, ‘Boom Boom’ has been remixed, and it is AMAZING!!!!). Tyler’s latest two singles (‘Ms. Perfect’ and ‘Boom Boom’), showed an evolution for him as an artist, due to the videos’ production quality, and the videos’ storylines. In ‘Ms. Perfect’, Tyler demonstrates that he can not only sing and act, but can also control a stage, and dance (seriously how can one person be so talented!). Although I love Tyler’s other music videos and his live covers, I feel that the Ms. Perfect video showed the audience his fun personality, which only makes you fall even more in love with his talent. 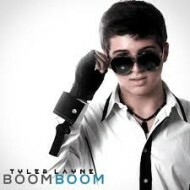 My favorite video is definitely the ‘Boom Boom’ video, just because the song is amazing, and the video itself makes you want to get up and dance (seriously, how do I get invited to a Tyler Layne house party!?!). I can definitely see this song become a huge radio hit, and an infectious summer time song, that will have us dancing for years to come. Since Tyler posted his first video in early 2012, the young entertainer’s talent as a musician, vocalist, songwriter, actor, and all around amazing entertainer has taken center stage. You can see Tyler’s growth through his videos, and it seems that he has nowhere to go but up. In the past few months, Tyler has had many phenomenal accomplishments, which include becoming a partner with YouTube super channel VEVO (also home to artists such as One Direction, Justin Timberlake, Katy Perry, John Legend, and just about any popular artist imaginable. This is also where you can find Tyler’s music video for ‘Boom Boom’). Other accomplishments that Tyler has had are his sponsorships with Peace Tea, Sodiem Clothing, and Giannini Guitars. However, arguably Tyler’s largest accomplishment to date is signing with the record label ‘Blow Me A Bubble Records’. In this day and age, the competition to secure a record deal is cut throat, so for an artist to sign a deal is a HUGE accomplishment. Make sure you catch Tyler on ‘the Fanatics tour’, which began on January 11th, 2014, and continues through July 26th (I believe that Tyler will be performing on all of the tour dates, but make sure you check the website here (the FANatics tour | Showcasing up and coming talent) to see if he is performing in your city…there are also A Lot of other amazing acts on the tour, so I highly suggest that you check it out!). As for Tyler’s future, I definitely see this shinning light only getting brighter with time. Although Tyler’s original music has been primary pop, I can definitely see him crossing over into music that has a more soul vibe to it. I think that Tyler’s natural vocal talent is very unique, and his determination and persistence to constantly become better at his crafts will certainly set him apart from current mainstream radio artists. I see big things on the horizon for Tyler, and definitely think he will soon become a household name and eventually a worldwide phenomenon. With an entertainer like Tyler, there are no limitations, and I am very excited to see what amazing project this modern day Renaissance man produces next. All photos and information used in this blog belong to Tyler Layne, YouTube, Twitter, Facebook, VEVO, Raven Symone, The Cheetah Girls, The Jonas Brothers, Miley Cyrus, American Idol, Kelly Clarkson. Rihanna, Katy Perry, Adele, One Direction, Hunter Hayes, Imagine Dragons, Bruno Mars, Blow Me A Bubble Records, Peace Tea, Sodiem Clothing, and Giannini Guitars, prnewswire.com, and all other original owners. I do not own anything in this blog. All opinions expressed in this blog are my own. I wrote this blog for entertainment purposes and no copyright infringement is intended. celindareyesblog June 23, 2014 No Comments on YouTube Wednesday: Tyler Layne, the future of music has arrived!!!. Category: YouTube Wednesday. Tagged: acting, adele, american idol, blow me a bubble, boom boom, brooke and tyler, brunomars, dear julia, everlife, facebook, fanatics tour, giannini guitars, guitar, hunter hayes, imagine dragons, itunes, johnlegend, justintimberlake, katy perry, kelly clarkson, miley cyrus, ms. perfect, music, music video, musician, one direction, original music, over the world, peace tea, piano, pop, radio disney, raven symone, rd7, remix, renaissance man, rihanna, singer, sodiem clothing, solo artist, songwriter, soul, the cheetah girls, the jonas brothers, twitter, tyler layne, unique, vevo, video, vocal ability, we found love, website, wednesday, youtube. Hello people of the internet, on today’s ‘YouTube Wednesday’, I am going to reintroduce you to an amazing vocalist that I KNOW you are very familiar with (if for some reason you’re not, then you NEED to check her out…after you finish reading this blog, I promise you won’t be disappointed J). This vocalist has had hit singles, has wowed the mentors on the NBC hit singing talent show ‘The Voice’, and has toured all over the world! At just 22 years old, this singer/songwriter has a resume that many seasoned performers would kill for. Who is this amazing vocalist you may ask? None other than the uniquely talented Jordan Pruitt (remember this name folks, because you will continue to hear it for years to come). Jordan Pruitt was born on May 19, 1991 in Georgia. She began singing at the tender age of 4 with her father’s band in her local church. Jordan continued to perform and perfect her craft, and at the age of 14, she auditioned for Hollywood Records, and received a record deal that very day. Two months later the music video for her debut single, ‘Outside Looking In’ was filmed (the song was also featured in the Disney Channel Original Movie ‘Read it and Weep’, which was released in July of 2006, and the ‘Girl Next’ album, which was released in August of 2006). In October of 2006, Jordan released a cover of the 1979 Sister Sledge classic, ‘We are Family’ for the Disney Movie ‘Air Buddies ‘. In January of 2007, Jordan released the track ‘Jump to the Rhythm’, which was included on the soundtrack of the highly successful Disney Channel Original Movie ‘Jump In’, which starred Keke Palmer (who starred in ‘Akeelah and the Bee’, ‘CrazySexyCool: The TLC Story’, ‘True Jackson VP’, etc.) and Corbin Bleu (who starred in the High School Musical trilogy, ‘Catch that Kid’, ‘Dancing with the Stars’, etc.). In February of 2007, Jordan released her first album ‘No Ordinary Girl’, through Hollywood Records (which as of January 16, 2014 has an ITunes rating of 4 out of 5 stars). The album peaked at #64 on the U.S Billboard Charts and the album’s singles were instantly fan favorites on Radio Disney (a radio station owned by Disney). In April of 2007, Jordan covered ‘When She Loved Me’ (originally performed by Sarah McLachlan for the Disney/Pixar animated hit ‘Toy Story 2’) for the Disneymania5 album. In July of 2007, Jordan released her track ‘Teenager’ (the last single off of her debut album), which was a fan favorite, and was in constant rotation in Radio Disney. 2008 was another HUGE year for Jordan, and presented numerous opportunities, where she was able to demonstrate her unique vocals. In May of 2008, Jordan lent her amazing vocals to the ‘DisneyMania6’ album, with her cover of the song ‘Ever Ever After'(which was made popular by Carrie Underwood for the Disney movie ‘Enchanted’, her version of the song also appeared in the 2008 CD, ‘Princess Mania’). .Jordan released her sophomore album ‘Permission to Fly’ exclusively to the tween clothing store ‘Limited Too’ in July of 2008. The album was later given a wider release, and its’ singles were added to the Radio Disney rotation. The album produced two singles, entitled ‘One Love’ and ‘My Shoes (which were both later performed by Jordan at the 2008 Disney Channel Games). In September of 2008, Jordan’s amazing vocals on her song ‘I Wanna Go Back’ (which was a non-single track off of Jordan’s sophomore album), appeared on the ‘Disney Girlz Rock 2’ album. She also sang a song entitled ‘Take to the Sky’ in September of 2009, for the soundtrack of the Disney movie ‘Tinker Bell and the Lost Treasure’. In November of 2008, she sang the song ‘Celebrate Love’, which was included in the ‘Disney Channel Holiday’ album. Her single ‘One Love’ (off of ‘Permission to Fly’), also appeared on the ‘Radio Disney Jams 11’ album, which was released in January of 2009. Jordan also lent her vocals to the son ‘This Christmas’, which was released in October of 2009 on the ‘All Wrapped Up Vol., 2’ CD. In February of 2011, Jordan parted ways with her label Hollywood Records, and signed with’ Jonas Records’ (a record label established by the popular boy band the ‘Jonas Brothers’). Jordan released her next single ‘Hey Shy Boy’ in November of 2011, and as of January 16, 2014 has an ITunes rating of 5 out of 5 stars. Jordan parted ways with Jonas Records in 2012, and continued to hone her craft. In September 2012, she covered Katy Perry’s mega hit ‘The One That Got Away’ on the “blind auditions” on ‘The Voice’. She chose to become a part of ‘Team Christina’ (which was mentored by superstar Christina Aguilera). Jordan made it to the next round of the competition (which is called the ‘Battle Round’), and sang another Katy Perry hit entitled ‘Hot and Cold’ although Jordan did very well in the battle, she was eliminated after this round. Jordan has made covered videos on YouTube channel since December of 2007. In April of 2013, she released her version of The X Factor UK’s season 6 runner-up Olly Murs’ hit ‘Troublemaker’ to ITunes, (which Jordan performed as a duet with Nickelodeon actor/vocalist Max Schneider). Jordan has toured all over the world as the opening act of numerous successful acts, as well as on her own. In 2006 she toured with the highly successful group ‘The Cheetah Girls’, and was included on numerous dates on the ‘High School Musical: The Concert ‘in 2006 and 2007. Jordan has also toured with numerous successful acts such as: Corbin Bleu, The Plain White Tees, Drake Bell (who starred in the hit Nickelodeon show ‘The Amanda Show’ and ‘Drake and Josh’), and the Jonas Brothers. In 2008, Jordin was a part of the ‘Tour of Gymnastics Superstars’, and sequentially toured in over 20 states across the continental United States. In 2009, Jordan opened for the Demi Lovato (who has starred in the highly successful Disney franchise ‘Camp Rock’ and the Disney show Sonny with a Chance, is one of the former X Factor U.S. judge, etc.) and David Archuleta (the runner-up of American Idol season 7). All photos and information used in this blog belong to Starpulse.com, Cotillion Records, youtube.com/Allthewayinterviewes, youtube.com/Jordanpruitorg, youtube.com/Jordanpruittonabcnews, youtube.com/Cambio, tommy2.net, YouTube, Jordan Pruitt, Hollywood Records, Jonas Records, Jonas Brothers, Nick Jonas, Kevin Jonas, Joe Jonas, Demi Lovato, David Archuleta, Interscope Records,popscreen.com, Corbin Bleu, Keke Palmer, The X Factor UK, The X Factor U.S., Olly Murs, Syco Music, Simon Cowell, Katy Perry, Disney Channel, Disney Cooperation, Pixar, Carrie Underwood, NBC, The Plain White Tees, wmentertainment.com, and all other original owners. I do not own anything in this blog. All opinions expressed in this blog are my own. I wrote this blog for entertainment purposes and no copyright infringement is intended. celindareyesblog June 23, 2014 No Comments on YouTube Wednesday: Jordan Pruitt, the girl everyone wishes they could be. Category: YouTube Wednesday. Tagged: akeelahandthebee, carrie underwood, christinaaguilera, church, corbinbleu, david archuleta, debutsingle, demilovato, disney, disney channel, disney channel games, disney movies, disney pixar, drake bell, hollywood, jonas brothers, katy perry, kekepalmer, max schneider, music, nbc, olly murs, outsidelookingin, pruitt, records, sarah mclachlan, singer, songwriter, the cheetah girls, thevoice, tinker bell, tlc, toy story, vocalist, wednesday, youtube. Hello people of the internet! For this ‘YouTube Wednesday’ blog, I am going to introduce you to a group that I have recently become obsessed with. I first heard of them, when they started following me on Twitter, so I decided to listen to their YouTube covers and original music. I have to say that my first impression of them was surprise…as to why I hadn’t ever heard of them before! Luckily, after reading this blog, I know that you’ll check them out and became as obsessed with them as I am ( you’re welcome). 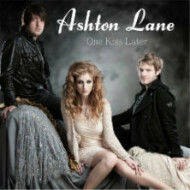 If you like country super groups such as Rascal Flatts and The Band Perry, then you’ll love Ashton Lane. They are a country group from Scotland, which consists of lead singer Ester O’Connor, her brother, and her husband. I wasn’t able to find too much more biographical information about them however; I will tell you what I think of their music, and their overall sound as a group. Shall we begin? Great, let’s go! Upon clicking on Ashton Lane’s YouTube page, I decided to listen to their cover of Rascal Flatts hit song ‘Come Wake Me Up’ Come Wake Me Up Rascal Flatts- Rascal Flatts Come Wake Me Up ASHTON LANE COVER – YouTube, because honestly I thought that if they could do a good job on this cover, then I would have a good idea of their vocal talents. I used this song as a way to measure how good the group is, because Gary LeVox (the guy who usually sings the lead vocals in Rascal Flatts’ songs) is a phenomenal vocalist, so I thought that if Ester O’Connor could handle the same notes, then that would show us how good the band is. After I listened to their take on the hit track, I decided that this group is definitely the real deal. First of all, O’Connor has a beautiful voice. Not only is her voice technically correct, but she is also able to perfectly express the emotions within the songs she sings. The group’s harmonies were also very tight (which honestly can be a very difficult task to master), and shows how meticulous and serious the group is about their craft. The next cover song I listened too was the group’s cover of Katy Perry’s hit ‘Wide Awake’ Wide Awake- Katy Perry Wide Awake- Wide Awake Katy Perry (ASHTON LANE KITCHEN SESSIONS) – YouTube. Now I know that you’re probably wondering why I listened to this cover if Ashton Lane is a country group (just stay with me, I promise I’ll connect the importance of this cover back to the group’s primary genre), well the answer is simple…I wanted to see the group’s emotion depth. Now I know that I just raved about the group’s lead singer’s ability to capture emotion in her vocal delivery however, I wanted to see if she could really tap into the vulnerability that Katy Perry shows in the song. O’Connor definitely demonstrated that she is not afraid to completely commit to the emotional content of a track, which is a trait that is absolutely necessary in country music (see, I told you that I would connect this cover back to the group’s primary genre). The final cover video that I listened to was the group’s cover of Taylor Swift’s infectious track ‘We Are Never Ever Getting Back Together We Are Never Ever Getting Back Together Taylor Swift, We Are Never Ever Getting Back Together – YouTube, (on a side not, I only looked at three cover videos, for the purpose of reviewing the group’s musical abilities…later on I listened to all of the group’s videos and my obsession with them only grew J). My reasoning for choosing this cover, is that I wanted to see if they could cover a fun song. At this point I knew that Ashton Lane could make me cry, and could make me look deep within myself for the answers to life’s problems however, I wanted to see if the group could make me want to dance…as excepted, they did not disappoint! The group’s execution of this sassy tune showed me that they can certainly handle producing a good quality mainstream country hit. Now that I knew that Ashton Lane could put a cool spin on an already popular song, I was curious as to whether they could create original music that would have the same effect. Luckily, the group has a link on their videos which allows you to receive 7 free songs from their album ‘Magic in the Air’. Upon listening to three of these songs, I realized that there is no reason why this group is not already famous. Their original material is honestly very good, and I found myself humming along to the catchy tracks within a few rotations of the songs. The group has their full album available for purchase on ITunes, as well as another album entitled ‘Other Side’, and several singles. I would suggest purchasing all of the music that Ashton Lane has put out, because you will quickly become OBSESSED with them. When I first decided to listen to Ashton Lane’s YouTube videos, I honestly had no idea what to expect. I hoped that I would find a good emerging country band that I could introduce to all of you, and that would be that. After listening to their music, I came to the conclusion that I had no idea what I had stumbled upon. I can say with a great deal of confidence that Ashton Lane will soon become a household name. I can definitely picture hearing their music on mainstream and country radio, as well as seeing them on every major award show…yea they are just that AMAZING! This group certainly showed me that they deserve to be in the fore front of everyone’s mind, and if a group can perform this amazingly with live vocals and two guitars, can you imagine what they can do with a full band and a lot of production behind them!? I personally cannot wait for Ashton Lane to become the next country super group. Trust me, the question is not a matter of IF the group will become a worldwide phenomenon, but rather WHEN this will happen. The group currently (as of December 17, 2013) has 45,659 Twitter followers, 10,487 likes on Facebook, and 7,225 subscribers on YouTube. My guess is they will become inescapable very soon, and you can say that you knew them when they were still music’s most well kept secret. *All photos and information used in this blog belong to Ashton Lane, YouTube, Facebook, Twitter, countryschatter.com, eventim.co.uk, and all other original owners. I do not own anything in this blog. All opinions expressed in this blog are my own. I wrote this blog for entertainment purposes and no copyright infringement is intended. celindareyesblog June 22, 2014 No Comments on YouTube Wednesday: Ashton Lane, your newest musical addiction…you just don’t know it yet. Category: YouTube Wednesday. Tagged: album, amazing, ashton, blog, brother, come wake me up, country, country trio, coversongs, dance, ester oconnor, facebook, famous, free songs, gary levox, group, guitar, harmony, husband, katy perry, lane, live, magic in the air, mainstream, music, new band, new band spotlight, obsessed, original music, other side, phenomenon, pop, rascalflatts, record, red, single, taylorswift, teenage deam, thebandperry, twitter, voice, we are never getting bac…, wednesday, wide awake, youtube, youtuber.